Microsoft has supported file sharing and printer sharing since windows 95. This networking feature is especially useful on home networks but can be a security concern on public networks. Below are instructions for turn on this feature if you wish to share files and printer access with your network, but you can also follow along to turn off file sharing and printer sharing if that concerns you. The steps for turn on or turn off file sharing and printer sharing are slightly different for Windows 7/8/10, Windows Vista and Windows XP, so pay close attention to the differences when they're called out. Choose Network and the Internet if you're viewing the categories in Control Panel, or skip down to the next step if you just see a bunch of Control Panel applet icons. Open Network and Sharing Center. From the left pane, choose Change advanced sharing settings. Listed here are the different networks you're using. If you want to disable file sharing and printer sharing on the public network, open that section. Otherwise, choose a different one. Find the File sharing and Printer Sharing section of that network profile and adjust the option, selecting either Turn on file sharing and printer sharing or Turn off file sharing and printer sharing. Some other sharing options might be available here too, depending on your version of Windows. These might include options for public folder sharing, network discovery, HomeGroup and file sharing encryption. Tip: The above steps let you have finer control over file and printer sharing but you can also enable or disable the feature through Control Panel\Network and Internet\Network Connections. Right-click the network connection and go into Properties and then the Networking tab. Check or uncheck File Sharing and Printer Sharing for Microsoft Networks. Choose Network and the Internet (Vista) or Network and Internet Connections (XP) if you're in category view or skip down to the next step if you see the Control Panel applet icons. In Windows Vista, choose Network and Sharing Center. In Windows XP, choose Network Connections and then skip down to the next step. From the left pane, choose Manage network connections. Right-click the connection that should have printer and file sharing turned on or off, and select Properties. In the Networking (Vista) or General (XP) tab of the connection's properties, check or uncheck the box next to File Sharing and Printer Sharing for Microsoft Networks. 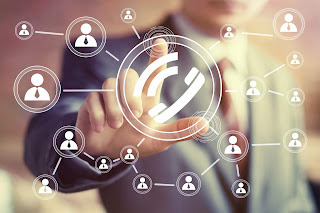 VoIP Latency - How Can It Be Reduced? 192.168.1.0 Private IP Address Explained. Web Note in Microsoft Edge - How To Use? What Is The Third-Party Application? How to measure internet speed?